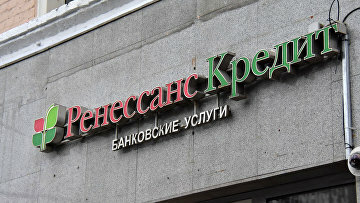 Russia’s DIA files $108.2 million lawsuit against ex-heads of Renaissance bank | Russian Legal Information Agency (RAPSI). MOSCOW, November 2 (RAPSI) – Russia’s Deposit Insurance Agency (DIA) has filed a lawsuit with the Moscow Commercial Court seeking to recover 7.1 billion rubles ($108.2 million) from five persons, formerly in control of Renaissance bank, the DIA’s statement reads. Renaissance bank was declared bankrupt by the Moscow Commercial Court in February 2016.